Trace Lysette, Ian Harvie, Alexandra Billings, and more implore the entertainment industry to "make us real people" in film and television. Some of Hollywood’s most notable transgender actors are asking Hollywood for greater and better representation. Alexandra Billings (Transparent), Ian Harvie (Transparent), D’Lo (Sense8, Looking), Trace Lysette (Transparent), Alexandra Gray (When We Rise), Rain Valdez (Lopez), and Jazzmun (When We Rise) filmed an open letter to Tinseltown in collaboration with GLAAD and ScreenCrush. 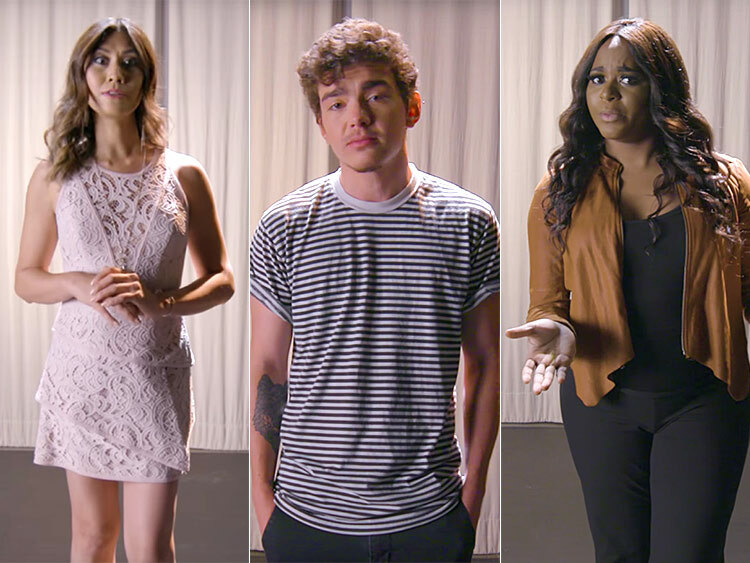 In the video, the actors call for fair casting practices for transgender roles. But they also remind the entertainment industry of its power to change hearts and minds for a community that is disproportionately vulnerable to violence and discrimination. “Dear Hollywood: You have the power to educate, to change minds, shape public opinion, and open hearts. So we need you to show us as we really are. Tell our stories with the creativity, dignity, humor and depth that make us real people,” the message begins. “Let us help you tell those stories. Or better yet, help us tell them ourselves, and then put us in them. And in everything else. In all kinds of parts. Yes, you’ll be giving us a job, and thank you for that. But you’ll also be making the world a little bit safer for an intensely maligned, under-represented, and vulnerable population,” it concludes. The open letter comes at a turning point for transgender representation. As Jeffrey Tambor noted in his Emmy speech last year, historically, the best trans parts have almost uniformly gone to cisgender actors — a practice called “transface” that many are calling discriminatory. "Give transgender talent a chance," he said, as he accepted an award for portraying a trans role in Transparent. As a recent example of this controversy, Jen Richards (Her Story) and Jamie Clayton (Sense8) criticized Matt Bomer for playing a trans role in his latest film, Anything, which premiered last weekend at the Los Angeles Film Festival. But in the real world, trans rights and lives have come under attack. The Trump administration has rolled back protections for transgender students, and the murder rate for trans women of color is higher than for any other population. The inclusion of in-depth transgender roles played by trans people could make a major impact in countering these issues. But Hollywood has a long way to go. At present, visibility in the big-budget film world is almost nonexistent. Among the blockbusters released by major studios in 2016, only one, Zoolander 2, featured a transgender role, which played as a comedic gag, reports GLAAD’s Studio Responsibility Index. There has also never been an out transgender actor to win a Primetime Emmy. However, Lysette is hoping to break that glass ceiling in this year's campaign for her role in Transparent. Watch the filmed open letter below.